Additional Info: Fantastic Sea Views and spacious accommodation, one of the larger caravans on Waterside Holiday Park, situated on a large grassed area. Good central location to access all site facilities and coastal path to near by Goodrington beach and Broadsands. 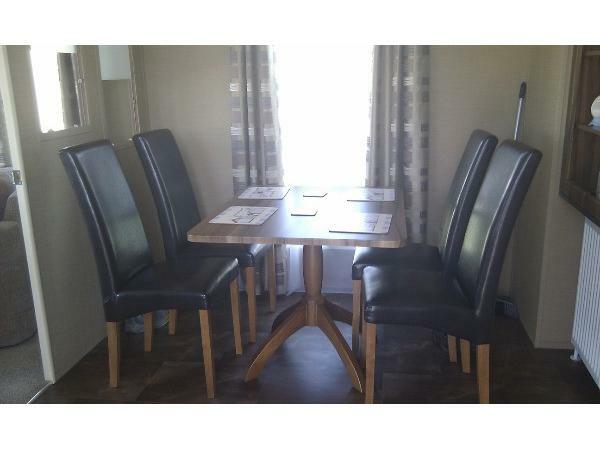 Patio doors open out on to a large decking equipped with table and chairs. 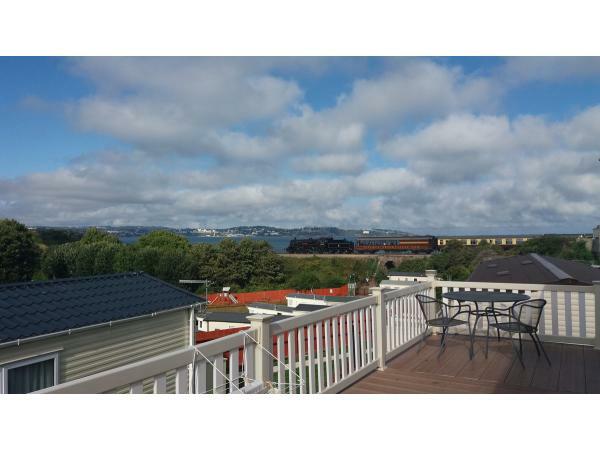 Relax and enjoy the fantastic sea view and the steam train as it passes by. A great place to relax and visit surrounding areas like Brixham, Dartmouth, Goodrington and Broadsands. We look forward to hearing from you, we have received great feedback from everyone who has stayed in the past. Please supply the dates you are interested in. Our holiday home is situated in a large, safe, grassed area at Waterside Holiday Park. 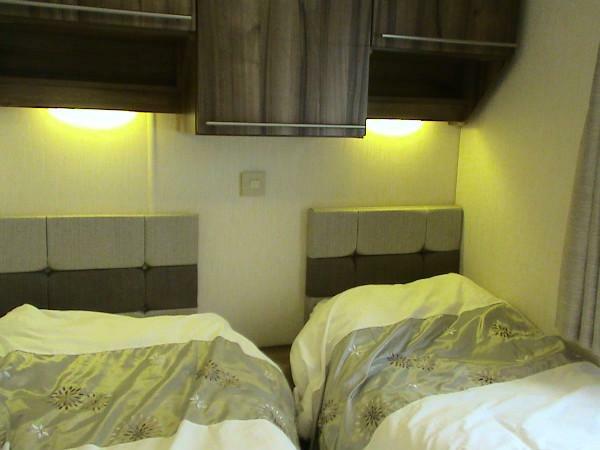 It has spacious dimensions and a well designed layout, double glazing and central heating, so whatever time of year you take your holiday you will be able to relax and enjoy the fantastic sea view in comfort. The holiday home is located in a desirable position on the Waterside Holiday Park for easy access to use all Waterside's facilities. Outside, heated swimming pool (life guards on duty), Yacht Club (for children and family entertainment), Smugglers Restaurant (good food and special offers), Reception and Shop. The coastal path which leads to Goodrington (fantastic beach with water slides), Paignton, Torquay in one direction or to Broadsands, Brixham and Berry Head in the other direction. Regular bus services outside Waterside Holiday park. Travel back in time on the steam train and enjoy the beautiful scenery or venture aboard one of the many sea or river boats to explore the coastline. Spacious Kitchen/Diner with a full size integrated fridge/freezer, oven and hob. Spacious separate Lounge with free standing sofa bed and two arm chairs. Patio doors open out on to the large decking with additional seating to make the most of the sea views. 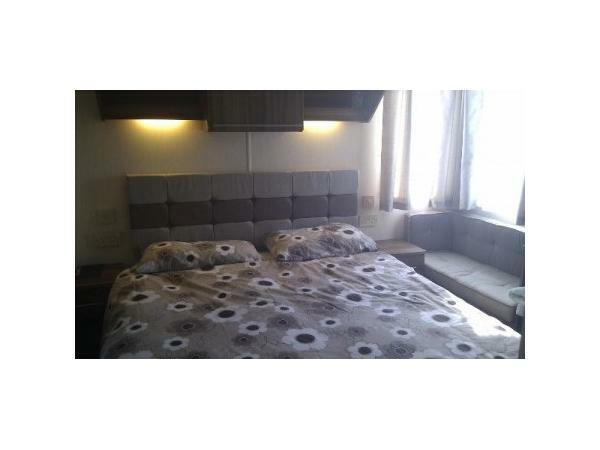 Main Bedroom: has a King size bed, plenty of wardrobe space and drawers and an en suite. 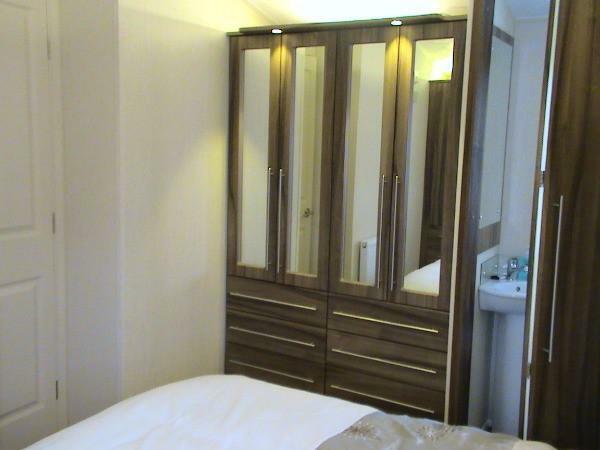 Second Bedroom has two single beds with a wardrobe and additional storage and a large mirror. Bathroom has a bath with a powerful shower. The thermostatic taps have a safety button, ideal for young children. Outside: A large non-slip decking with outside lighting, equipped with table and chairs. 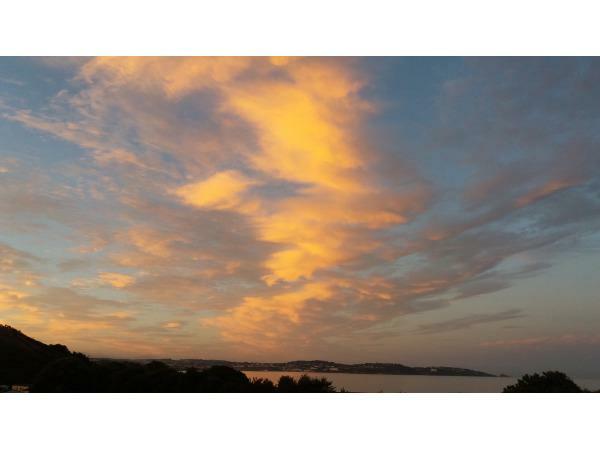 Enjoy the sea view and relax during the day and in the evening to see the glorious sunsets. Our privately owned holiday home is suitable for mature couples and families. 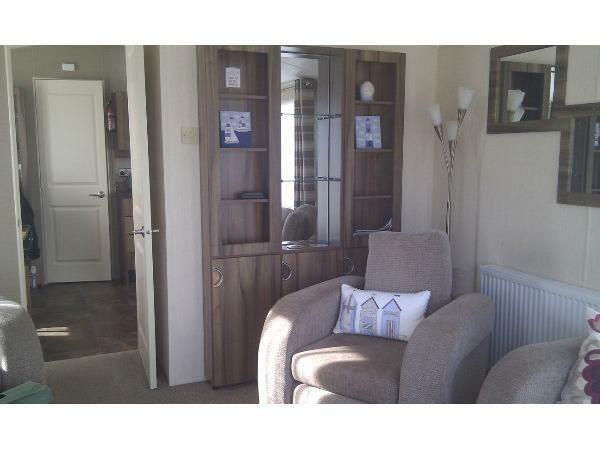 A fantastic holiday home at Waterside Holiday Park. Please email the dates required. I am happy to give you a telephone call to clarify anything about the caravan or Waterside Holiday park, facilities and local area. Either email or leave a voicemail message or text on my mobile, I will get back to you promptly. Very good feedback from families who have stayed in the past and many rebook each year. 1. The deposit is calculated at 20% of the total rent. 2. The balance of rent to be paid in full, 2 months before the start of the holiday. 3. Payment by cheque or by bank transfer. 4. A £50 security bond (refundable) will apply to all bookings, payable with final payment. Seaview Retreat is in a prime location on Waterside Holiday Park to enjoy everything on offer or just relax and watch the world go by. It is in the heart of the English Riviera, there are so many places to explore and visit to make your holiday a memorable one. Additional Info: Outside heated swimming pool and sun patio with sun loungers. Full programme of professional entertainment with dedicated staff to make your holiday special. Children's play area. Thank you for your excellent review of our caravan. We look forward to welcoming you back another time. Thank you for the great review and so pleased that you had a lovely holiday. 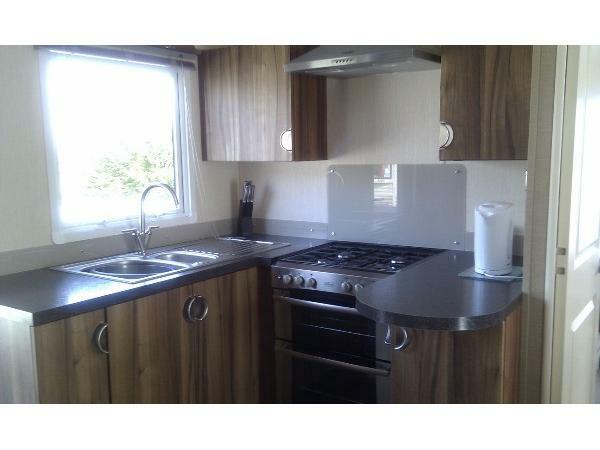 Fabulous caravan of a very high standard, it was spotlessly clean and looks in new condition. Well equipped kitchen. The caravan has great views of the sea and the steam train (summer weekends every half hour) from the deck, and very comfortable outdoor furniture. Spent a lot of time enjoying the views. People new to caravanning, remember to bring your own soap, washing up liquid, cloths, more toilet rolls, and air freshener, as well as towels, teacloths and bed linen. But bringing these things yourself is standard for a stay in any caravan, and can be brought from your own home and taken back after your stay. The caravan was surrounded by quiet older adults. I would recommend this caravan, especially to older, quiet, tidy people like ourselves. Location of site very central if visiting Torbay. Location of Caravan within site very good and facilities close by ie. pool/clubhouse/shop parking 20m walk. Great views of Torbay and Steam train. Caravan was very clean and well equipped. owner responded promptly. Really enjoyed our stay will use again. 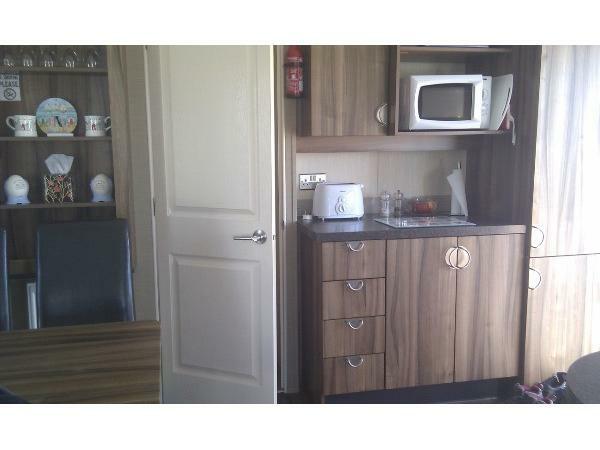 Excellent caravan and very well cleaned on arrival. correspondence from owner very quick from the first enquiry onwards. Accommodation well laid out and spacious. veranda area large and much time was spent sitting enjoying the view in the morning and evening. space around the back of the caravan was also handy for the kids. An added bonus was the good weather and spending a fair bit of time in the pool onsite. would definitely book again in the future. 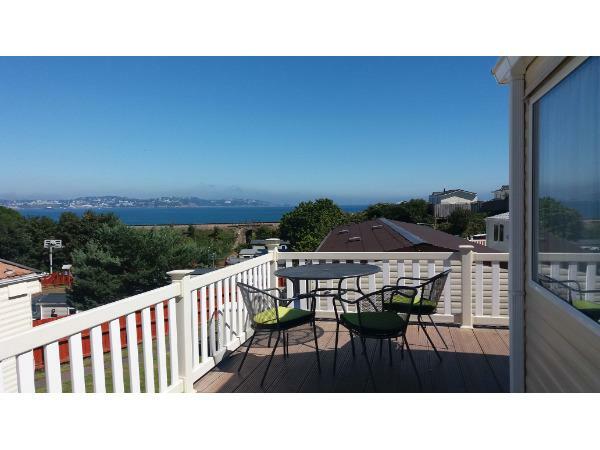 Beautiful caravan with amazing views of Torbay,it is fully equipt for all your holiday needs and is so comfortable you are guaranteed a good nights sleep.This caravan really is luxurious and we had a fabulous holiday.Looking forward to returning in the future. Lovely caravan. Fantastic views. Thoroughly enjoyable holiday.